Valencia Beauty Blogger Template is a stunning modern looking mobile ready responsive theme which provides unique and minimal blog with main focus is to showcase your content more beautiful than ever & bring a pleasant reading experience to your readers. It has a notable Featured Boxes so that you can showcase your featured post or products. This is a fully 100% responsive free blogger template design which will enable your audience to check out latest updates from you on their Laptops, Tablets, Smartphones, etc. The colors can be changed from the Bloggers advanced Customization Area so you don’t have to go into the coding to make changes. Features rich Valencia Blogger Theme is built with advanced blogger dashboard panel. SEO Friendly Markup and Responsive layout are built with Custom Framework, HTML5, CSS3, and Beautiful Mind.! 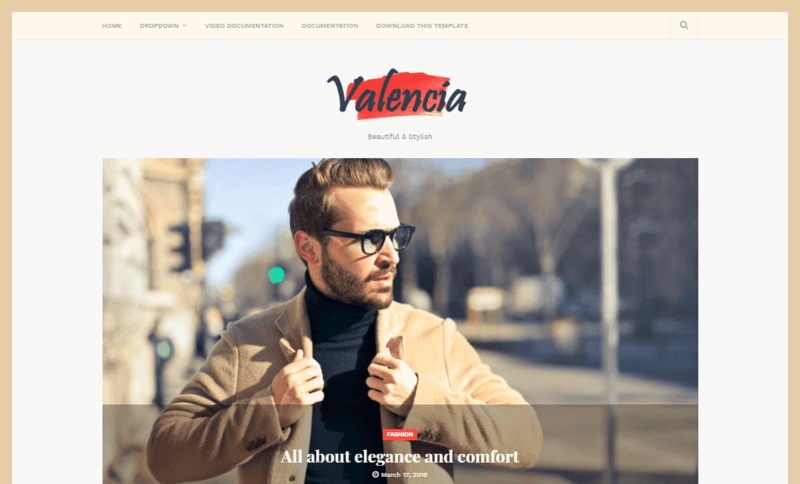 Following are some of the key features of Valencia blogger template.